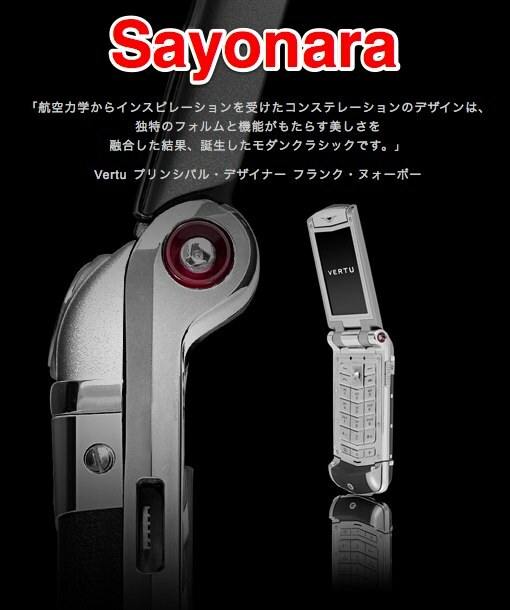 That was a long sayonara: in November 2008, Nokia decided to pull the plug on their Japan operations, at the same time announcing they will re-enter the market with their luxury sub-brand Vertu. They started offering those phones (and the services that come with them) in September 2009, but now decided to give up on this business in Japan, too. Nokia had been operating two Vertu stores in Japan, one in trendy Shibuya, the other in the upscale district of Ginza. But now the company can’t get out of the country soon enough: both stores will close by the end of this month, just before the contract with local partner NTT Docomo expires in August. Nokia’s Tokyo office will stay open until the end of the year to take care of refunds and other things, as Japanese business daily The Nikkei has learned over the weekend. I called Nokia’s Vertu plans in Japan “nonsense” in 2009 already, and especially in the light of the smartphone boom this country is currently seeing, no one can be surprised about big N’s decision.